James Mason makes for a stern and immovable Captain Nemo in this ambitious CinemaScope Jules Verne adaptation from Disney, an early example of the summer blockbuster two decades before Jaws (1975). Verne's tale of the misanthropic steampunk submariner who forsakes humanity to live below the waves dates from 1870 but touches on a number of enduring concerns, most notably the horrific potential of scientific advancement in the wrong hands. 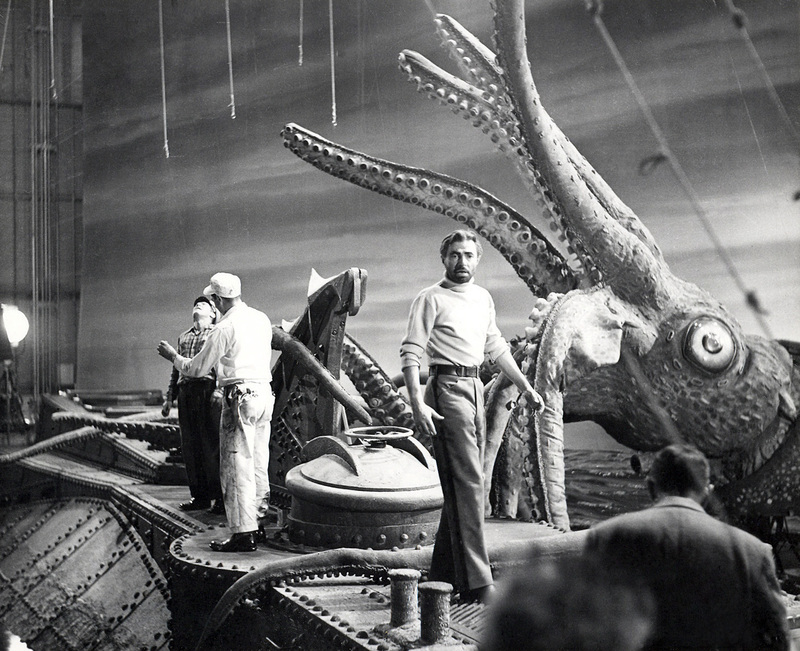 Professor Pierre Aronnax (Paul Lukas), an interloper aboard Nemo's Nautilus, begs the ingenious captain to share his ship and its wonders with the world for the greater good but Nemo declines, preferring instead to act as an anti-colonial moral avenger, using the craft to sink slave boats regardless of the human cost of his actions. Aronnax is particularly anxious to know what powers the Nautilus, a vessel at once an ornately decorated Victorian drawing room and a powerful deepwater battering ram. Nemo never reveals the answer but it's a particularly pertinent question that would have had uncomfortable resonances for an Atomic Age audience. Verne was clearly a man as visionary and ahead of his time as his protagonist. 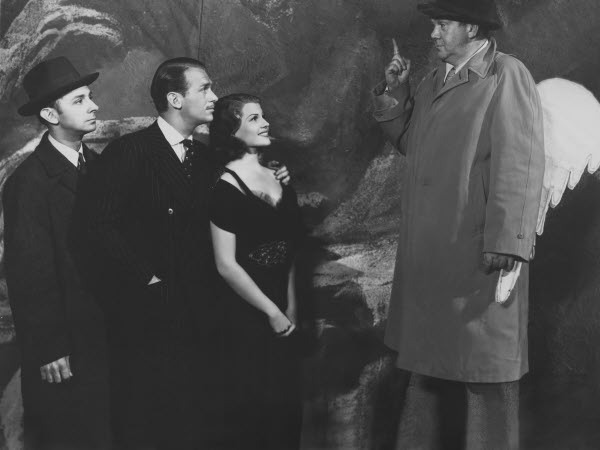 Truth be told, once Professor Aronnax, his assistant Conseil (Peter Lorre) and boisterous American harpooner Ned Land (Kirk Douglas) have been taken aboard the Nautilus, Fleischer's film fast runs out of radium. 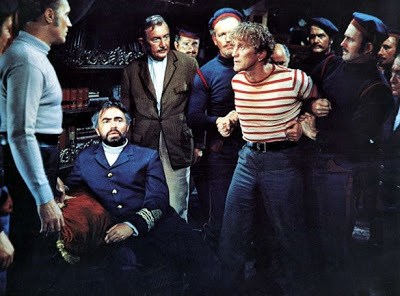 However novel, the murky seabed setting ultimately creates longueurs and there is simply insufficient incident to hold the attention outside of an agreeably rickety battle scene with a giant skid. Douglas is entertaining singing comic shanties, brawling with Nemo's crew and befriending his pet seal Esmeralda, but the energy he brings to the piece is at odds with Mason's grave and thoughtful turn. Nemo is a man governed by hate and fixated on the tragedies of his past and the actor treats the character with the seriousness he deserves. Lukas is also good value as the voice of reason but it's sad to see Lorre again reduced to comic sidekick status. The beautifully designed sets used for the interiors of the Nautilus would ultimately be reused at Disney World to create a popular ride. This theme park afterlife provides a parallel with the same studio's more recent Pirates Of The Caribbean franchise (2003-11), which was famously a Disney attraction before it was spun off into a lucrative box office plundering series that also served up a bevy of deranged captains, spectacular ships, extrovert character performances and a cannibal island chase remarkably similar to that involving Ned Land in Fleischer's film. Just as F.W. Murnau did not have the blessing of the Stoker estate when he used Dracula (1897) as the basis for Nosferatu in 1922, Luchino Visconti had no legal right to make a film of James M. Cain's 1934 hard-boiled pulp The Postman Always Rings Twice but did so anyway. The young Italian aristocrat was presented with the idea when Jean Renoir hurriedly shoved a copy of the book and an abandoned early draft of a screenplay into his hands before fleeing Europe for American as Nazi tanks began to make serious inroads into France. Wartime restrictions prevented Visconti obtaining the necessary permissions but he had other problems to contend with. He knew that no treatment of Cain's steamy novella would get past Mussolini's censors so he and his Milanese anti-fascist co-writers Mario Alicata, Antonio Pietrangeli, Gianni Puccini and Guiseppe de Santis packaged their unofficial adaptation as a light murder mystery bearing a cautionary moral against extramarital relations, which, unbelievably, was enough to see it rubber stamped. 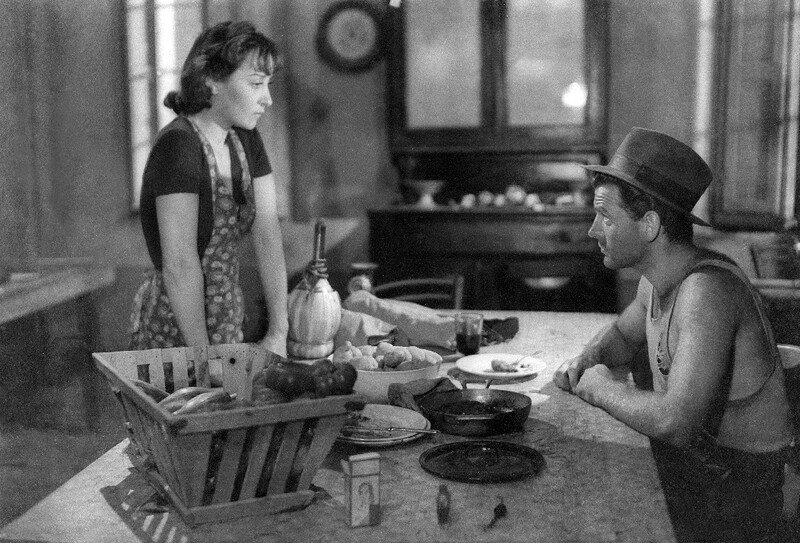 The relocation of this timeless yarn from California to a trattoria in the swampy marshes of the Delta Ferrarese presents no problems whatsoever and the sweltering climate actually provides a highly appropriate backdrop for the lovers' desperate crime of passion. In what is often cited as the first neo-realist film, Visconti captures the poverty and hopelessness of these environs but remains equally interested in the emotional ordeals of his protagonists. 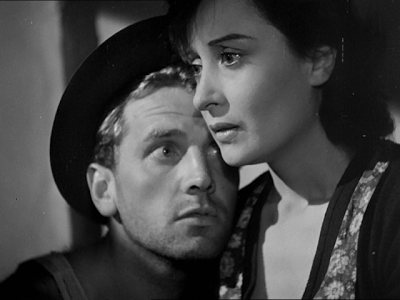 Gino (Massimo Girotti) is a lost soul drifting from one lowly blue collar job to another, forever restless and unfulfilled, while Giovanna (Clara Calamai) found herself forced to choose at a young age between taking a blustering older man (Juan de Landa) for a husband or a life of prostitution and is reluctant to be exposed again. The world is bleak, dusty and unforgiving for these hardened survivors and their animal lust for one another is as much about shared pain as it is stolen pleasure. It's beautifully played. Visconti's completed film succeeded in outraging both church and state, with an archbishop called in to sprinkle holy water in one cinema auditorium and Il Duce's son Vittorio Mussolini walking out of a preview screening exclaiming furiously, "This is not Italy!" All copies were subsequently destroyed by the Fascist authorities except for Visconti's own negatives, from which all remaining prints are derived. This hostile reaction meant that Ossessione was suppressed until 1959, when an abridged cut was finally presented in Paris, and not seen in its entirety until 1976. 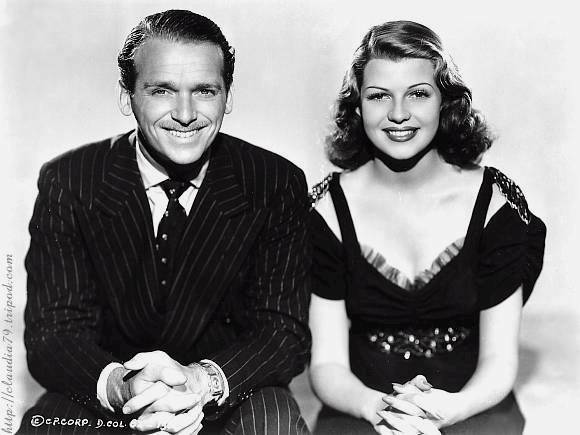 This was also the fault of MGM in Hollywood, which had produced its own (approved) adaptation of Cain's book in 1946, famously pairing Lana Turner and John Garfield, and had subsequently busily set about attempting to bury Visconti's rival work. However, both versions offer something entirely different and deserve to co-exist in harmony. German director Paul Wegener plays the titular monster himself in this marvelously creepy expressionist horror from the golden age of U.F.A. The Golem is an old Prague legend about a mystical colossus sculpted from clay by the benevolent Rabbi Loew and brought to life with Hebrew incantations in order to protect the inhabitants of the city's Jewish ghetto from anti-Semitic prejudice and persecution. 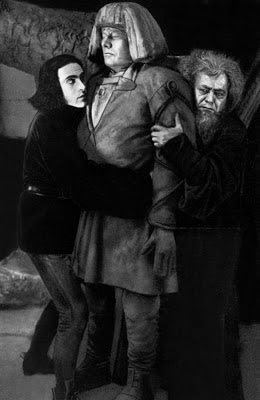 This was Wegener's third crack at the tale, having directed a version in 1915 that he was not entirely satisfied with and a parodic short two years later, The Golem & The Dancing Girl, both of which are now sadly lost. You can see his surviving Golem in its entirety below for precisely nothing. A peculiarly potent and enduring myth, the Golem is a man-made monster that turns on its Promethean creator: the story therefore shares superficial similarities with Mary Shelley's Frankenstein (1818). It was the subject of a strange, dreamlike novel by Austrian bank clerk turned occultist Gustav Meyrink in 1915, which was reportedly a direct reference point for Wegener, and could also be said to have lived on through the tradition of superhero comic book writing. After all, Superman was created in 1938 by two Jewish writers, Jerry Siegel and Joe Shuster, just as the Nazis came to power in Germany, a time when the Jews of Europe once more found themselves forced to bow their heads and pray for deliverance. Batman, another champion of the people, made his debut appearance in Detective Comics a year later and was also the product of Jewish invention, the caped crusader later battling a villain who resembled the Golem in the shape-shifting person of Clayface. The Golem thus remains a symbol of man's undying hope of release from toil and oppression, particularly as technology advances and the possibility of automata aiding and enhancing our working and domestic lives becomes ever closer to reality. The word "robot", incidentally, like the Golem, also originates from the Czech Republic. It was first used by the satirist Karel Čapek in 1920, the year of Wegener's film, in the title of his play R.U.R. about a factory that builds artificial humanoids. The idea must run in the very waters of the Vltava. French poet Jean Cocteau's famous fairy tale adaptation is simply unutterably lovely, a work of art approaching perfection in its execution and which has unquestionably added to the sum of gross human happiness ever since its premiere in the midst of postwar depression and austerity. I grew up with the Disney animation from 1991, which drew heavily on Cocteau and is also charming, although I can see now that it could never hope to match the atmosphere and feeling of its inspiration. Starring Josette Day and the director's lover, Jean Marais, Cocteau's film of Jeanne-Marie LePrince de Beaumont's 1756 version of the tale is unfailingly visually inventive and makes inspired use of theatrical trickery. From the uncanny arms emerging from the walls of the Beast's castle to bear its candelabra to the roving eyes of its statues, there are endless wonders here. The influential leonine make-up in no way hinders Marais' capacity for expression, as can be seen above in his alarming first appearance, accosting Belle's father (Marcel André) for plucking a rose from his enchanted garden. 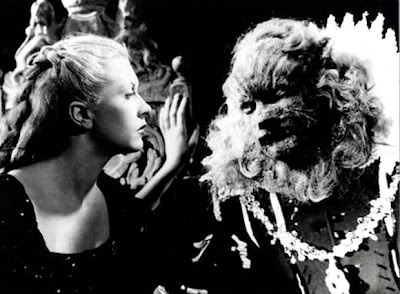 Although the Beast may initially frighten us, Cocteau follows the best traditions of European children's literature by reminding us that the only real monsters in the world are human: Belle's vicious sisters (Mila Parely, Nane Germon) and her self-indulgent, vain father, whose financial naivety and complacency have brought the family to ruin. This is a romance, however, and the avarice and narcissism of Belle's relations merely add bold secondary shading to the splendour Cocteau conjures in the foreground. It is perhaps a little perplexing that we should feel a pang of regret for the passing of the Beast when he casts off his fur only to assume the physical form of Belle's wastrel suitor, Avenant, but the strangeness of this finale, and the lovers' subsequent heavenly ascent, only adds to the film's dreamlike quality.